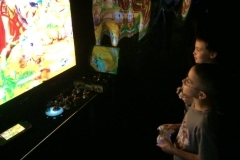 6 High-Definition Video Gaming Centers - 24 Players at Once! The Mirror Me™ Booth - The Ultimate Party Photo Booth! The BEST Inland Empire Birthday Party & More... We come to you! it comes RIGHT to YOU! 32 feet of pure luxury and video game action! Climate controlled and Self-Powered! It's AWESOME! Stadium Seating to fit the whole crowd! Up to 24 can play at once! This BRAND NEW party on wheels has it all! 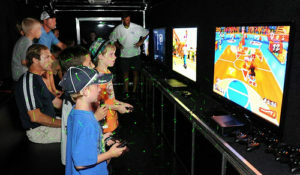 We've got 'em, from Minecraft to Mario Kart to Call of Duty and Halo! You relax...and your home stays clean! High-Tech "Selfies" for guests and their friends! The Game Box makes it easy! 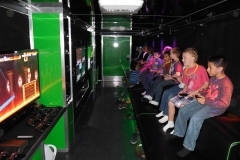 Book your Game Box party today! 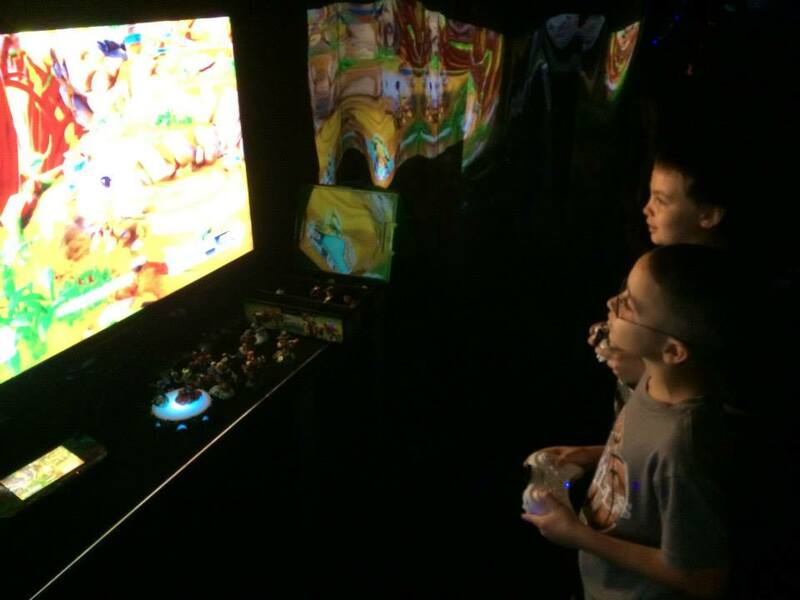 Our Game Theater With 6 Hi-Def TV's, up to 24 guests can play at once! We're Bigger and Better! There is no comparison! Mirror Me™ Booth Custom Smart Technology Photo Booth! Ham it up with friends! Customize & even sign your photos! 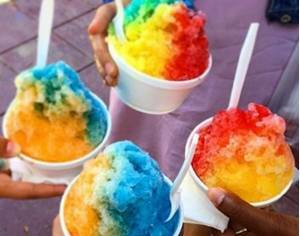 Hawaiian Shaved Ice! We provide this frozen treat in up to 10 flavors to keep your guests cool, with one or two servers to dole out the fun! Ready to get your Dance On? We are! THE GAME BOX brings the newest, most exciting mobile video game theater right to you! 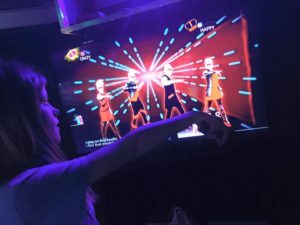 Our brand new, HUGE 32 foot gaming theater features 6 awesome gaming stations...4 inside and 2 more outside, allowing up to 24 guests to play at one time! 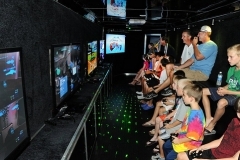 With stadium-style tiered seating, higher ceilings, full climate control, laser and neon lighting and more, there is no comparison to the THE GAME BOX mobile video game trailer! Our Game Coach instructs, entertains and runs the party while you relax! Mirror Me Booth - The most FUN Photo Booth ever! Mirror Me™ Booth! The ultimate party photo booth! This high-tech smart photo booth is a touch-screen mirror that snaps pics of you and your friends! 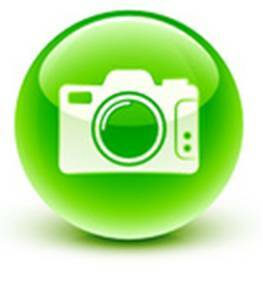 Get your best pose on, customize your pic, even sign the screen. 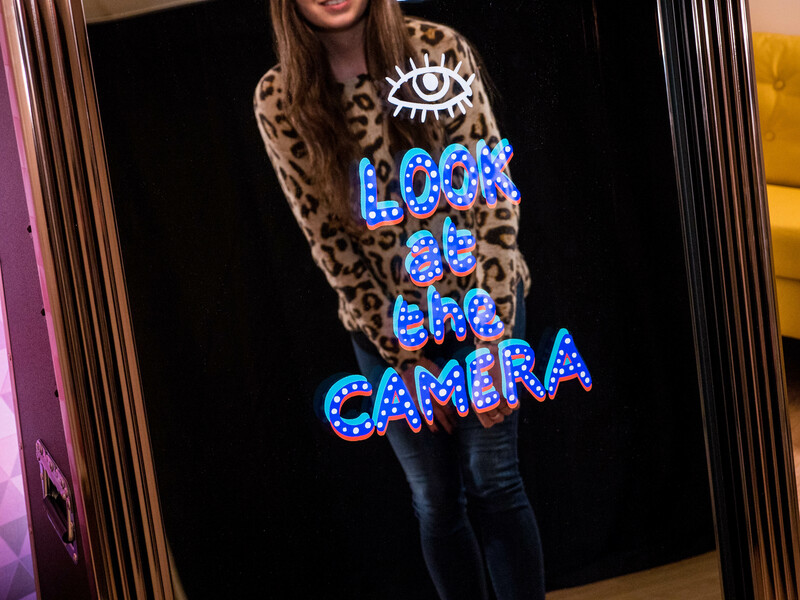 Our Mirror Me™ Photo Booth is included with every party for just $50...you and your guests will have great keepsake photo mementos sent right after your party! Kids and adults all love the Mirror Me™ Booth! See more here! 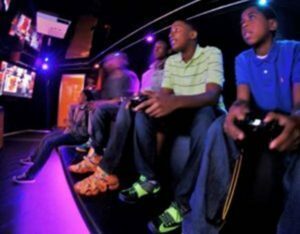 6 Hi-Definition Video Gaming Centers! Parties of all kinds! 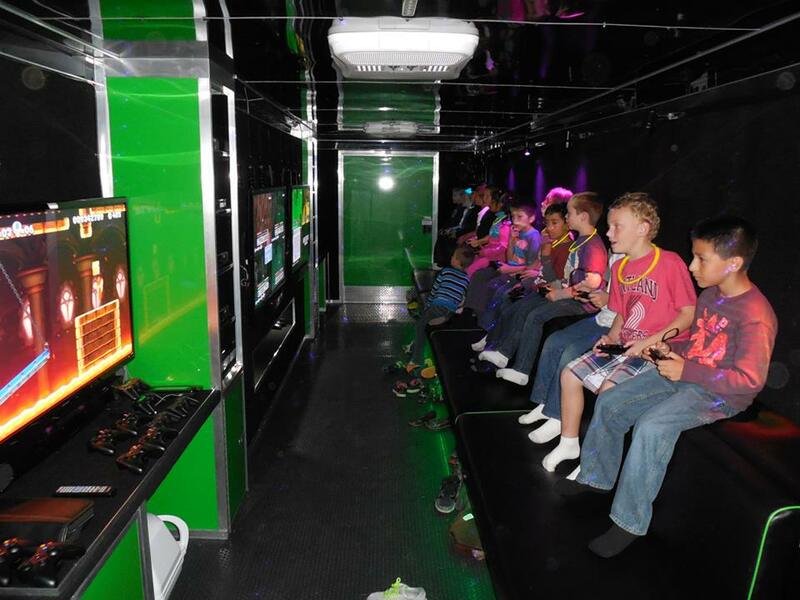 Birthday parties, school events, church fairs, festivals, fundraisers, civic and city events, parades and carnivals...we bring the best mobile entertainment venue right to you! We're completely self-powered by our own quiet generator...we can go almost anywhere! Our Game Coach instructs players and runs the party while you relax...and your home stays clean! It doesn't get any easier...or any more fun! Don't settle for less... BOOK THE BEST!